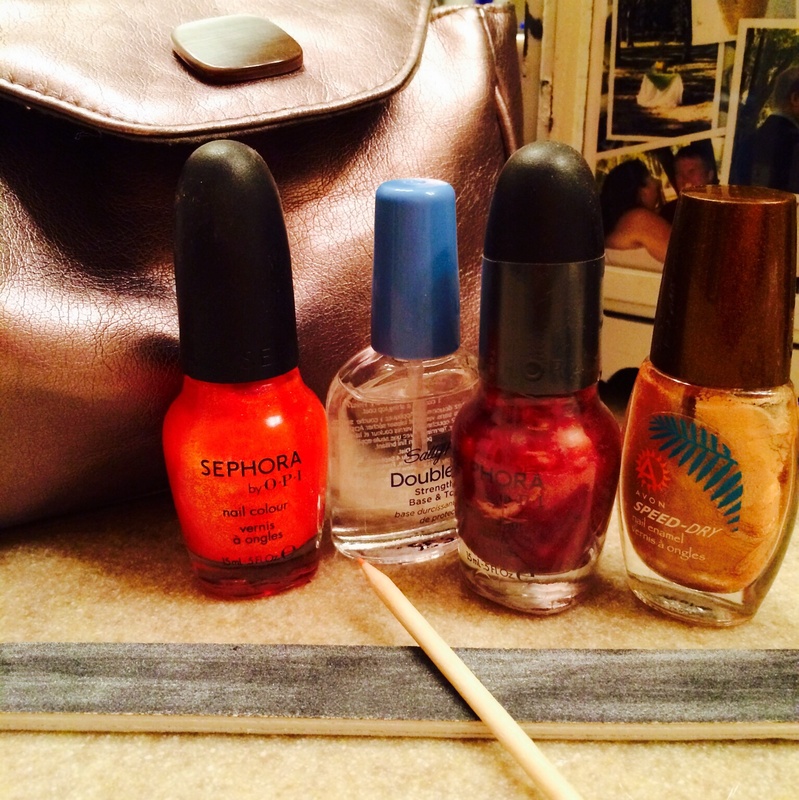 Friday Favorites: Tink Recaps & Corrals are out! I apologize to anyone who isn’t doing runDisney races, because it seems like almost all of my favorite blogs I flagged this week are about Tinkerbell recaps and the Princess Half Marathon (now 3 weeks away!). First off, two fantastic Tink recaps, that both had me thinking about signing up for Tink for 2015. We always do what I want for Mother’s Day so this might be a good option, right honey? Lauren over at Lauren’s Glass Slipper ran with her husband, dressed as Merida and the bear (Mordu). I am so impressed that she ran the entire half marathon with that giant Merida wig! I love the colors in all of the gorgeous pictures. We’ve never been to Disneyland, but seeing all of the pictures in recaps this week has me looking for a reason to go out to Anaheim. Jodi over at 2princessesontherun also has a fantastic recap up this week and I love that her joy about the experience just jumps off of the page! I really liked her approach to taking pictures of the unique sights, rather than the characters, since I’m not a huge character person. I nearly died laughing at the line about Sleeping Beauty’s castle being Cindy’s guest home! Two great posts over at We Run Disney this week included my first heads up that the corrals were posted (I’m in H – be sure to come say hi!) 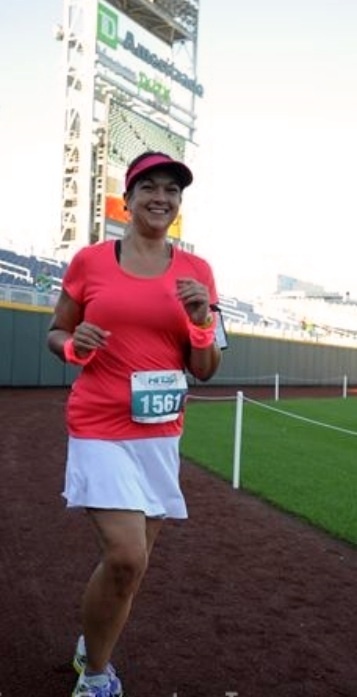 and a wonderful post about run/walking races. I do a 0.1 mile walk each mile in my long runs and think it has really helped me avoid injury (aside from my fall). It was psychologically really important to me to run my 10K (other than water stations), but I don’t feel that impetus for the half marathon and reading about others like Pam and Christine (and Jeff Galloway of course, who qualified for Boston with a run/walk plan) makes me feel good about that plan amidst all of the complaints you see on message boards about people who are walking/taking walk breaks. Just be careful with your walk breaks and don’t cause a pile up for people behind you! If you follow any health and fitness blogs or Facebook groups, you probably saw the xojane post this week about the girl in tears over the larger African American woman in her yoga class. I read the initial article just thinking that the writer must be incredibly young to still have that kind of naivete and self-importance and was a little sad about the thrashing I knew she would get. Better than the original article, read the response to the article over at BlackGirlsGuideToWeightLoss.com, titled an Open Letter to the XOJane Writer Who Cried About a Black Woman in Her Yoga Class. Race issues aside (not at all to minimize those, but I can’t speak those as well as she does), the part about the original letter that was particularly troubling to me was the section about wishing no one would notice her body, were she this larger girl in yoga class. As a girl who joined a gym at 250 pounds, you already feel like everyone is looking at you and thinking how much you don’t fit. I really didn’t need some self-described “skinny white girl” (her words, not mine) telling me that if she was me she’d just hope no one looked at me. Ugh. The Open Letter response addresses that more eloquently that I could, so check it out. One of the most powerful moments during my gym experience was actually having another overweight girl come up to me and tell me that I was an inspiration. I’d noticed her watching me as I worked out with the trainer, over surrounded by all of the buff people and then me. I still felt self-conscious about my loose skin and flab flapping and swinging during some of the moves Christy (my trainer) had me doing, but knowing that I helped this girl feel better about being in that environment herself was very motivating for me. For a laugh, check out the post from “Mr Lean Green Bean” over at Help, I’m Married To a Blogger! We aren’t at that stage in my house, thankfully, but I loved that he has a sense of humor about the whole life! 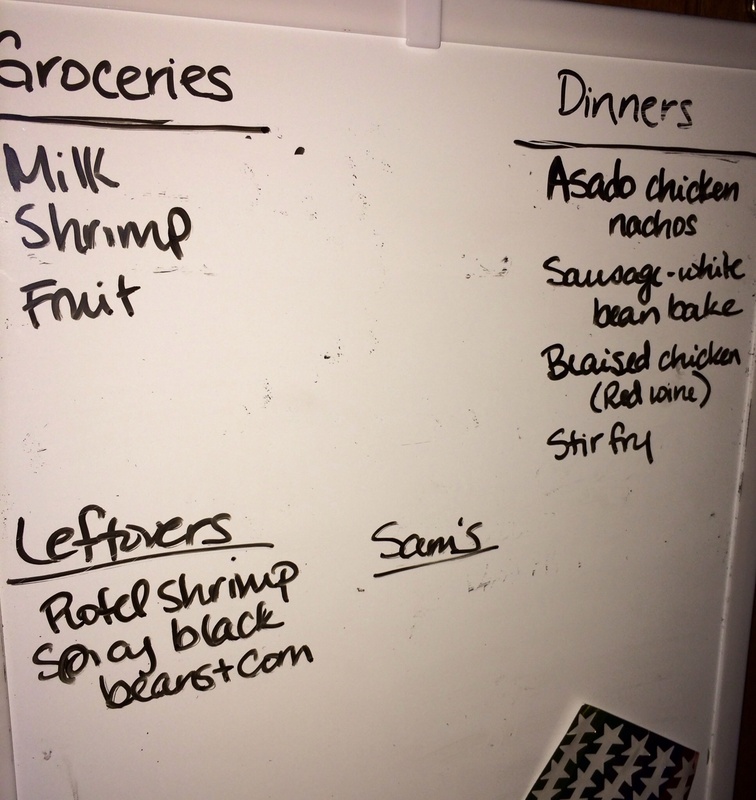 Yesterday, I mentioned the importance of being flexible about your meal plan and I took that advice last night. I had a great date night with O. We went out to Kona Grill and I had some sushi. He had grilled cheese with fries and edamame. 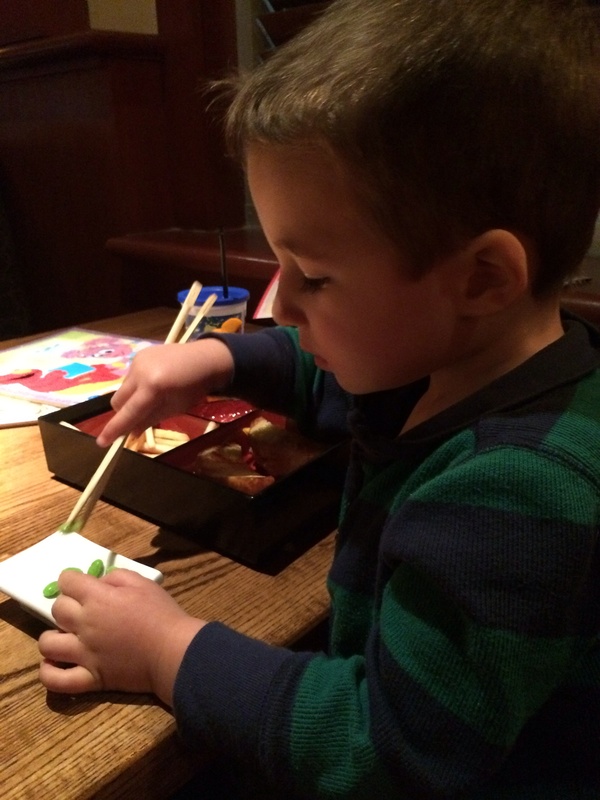 I felt really gratified by the fact that he loved the edamame, so it wasn’t just fries for dinner. He also inhaled a piece of my crab sashimi and got in some practice with chopsticks. He’s nearly better than I am at chopsticks and managed to feed me an edamame bean with them. Of course, he then followed that up with calling me “Hey Baby”, prompting a discussion about how we don’t say that to our mommies or any women. 🙂 Charmer. As a working mom, it can definitely be hard to find time to get a healthy meal on the table in the midst of all of my other “chores”. I love to cook and to experiment with new dishes or more complicated recipes, but there are lots of busy weeknights where I need a quick and easy option in order to get something on the table in a reasonable amount of time, without a lot of hands on care. It’s very hard to cook dinner while simultaneously prepping breakfast and lunches for the next day, answering a thousand two year old questions and trying to handle dishes, laundry, etc (all of which assumes we got home at a reasonable hour to start with). Last night, I had my little helper read me stories while I was working on all of these things so we got in some quality time while I was working. – If your budget allows it, take advantage of the pre-prepped options in your produce department at your grocery store. Yes, I could wash and chop up broccoli but I am much more likely to use it before it goes bad if I pick up in the pre-washed, pre-cut, steam-in bag. In addition to the products provided Dole and other national retailers that are pre-washed, check out your local options as well. 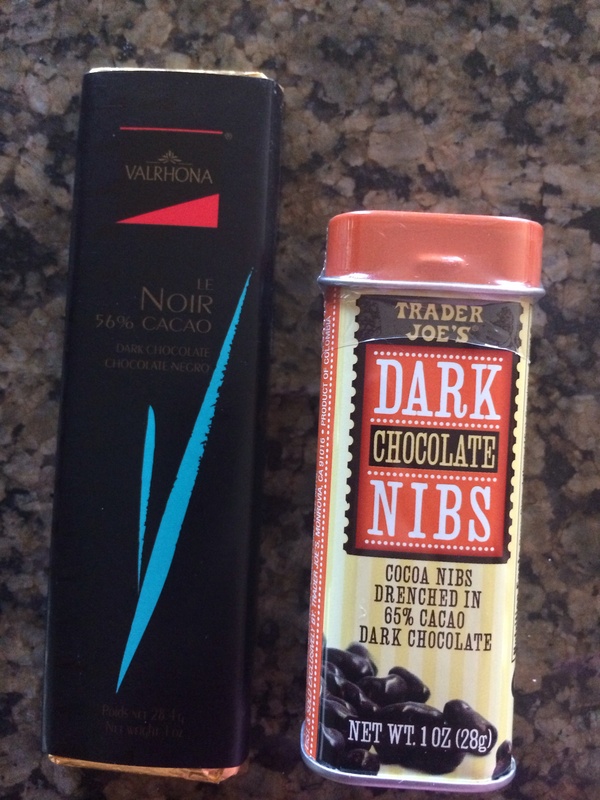 There are lots of things at Trader Joe’s that serve as good shortcuts (as previously reviewed here) and my local grocery store has their own internally prepped items, ready to toss in the oven or on the grill. I pay a little more for these, but they’re less likely to go to waste than something I’d have to do more work to prepare, so it probably comes out even in the end for me. Another option would be to do all of this pre-prepping yourself on the weekend, so that you’re ready to go for the week (I confess – I am too lazy for this on the weekend!). – Poll your family to find out which proteins they like and build some meal ideas around the ones that are the quickest and easiest to prep. For our house, that means shrimp, beans and pork tenderloins primarily (all quick to prepare and lean), but we also do some chicken (especially the thin cutlets) and sausage (there are some very tasty lean chicken sausage options out there!). If I know I’m going to be dinner on my own because my husband has plans (like tonight), I gravitate toward the individually frozen tilapia filets, which thaw in a flash, or eggs as my protein source. I like keep things that thaw very quickly (like shrimp, tilapia) or don’t require thawing at all (like canned beans or eggs) on hand for quick and easy last minute meal prep. Beans are essential in our house anyway because that’s my little man’s favorite food. He is definitely not much of a carnivore yet. – Have a loose meal plan for the week, but be flexible. I tend to have several options for the week that I know I could prepare quickly and for which I’ve got the ingredients, but I don’t get tied to preparing them any particular day because I never know when I’ll have to work late or it’ll take forever to get O to leave school or whatever, so flexibility is key. A flexible meal plan also helps us feel like we’ve got a little room for spontaneity. Just keep an eye on what needs to be thawed or thrown in the freezer if you realize you aren’t going to use it in a reasonable time. – On weekdays, I tend to use the oven a lot more than the stove top just because it’s a less hands-on. I love being able to toss something in the oven and check it in 20-30 minutes, as opposed to constantly stirring something on the stove top. It’s a lot easier to keep my hands free for kid-wrangling and lunch packing that way! – Your slow cooker is your best friend as a working mom/wife. Once a week, I try to use my slow cooker for dinner. There’s very little in life better than coming home to the smells of dinner already done on a long day! – Tuna-white bean melts: Very quick & easy. Check out the post with that recipe here. 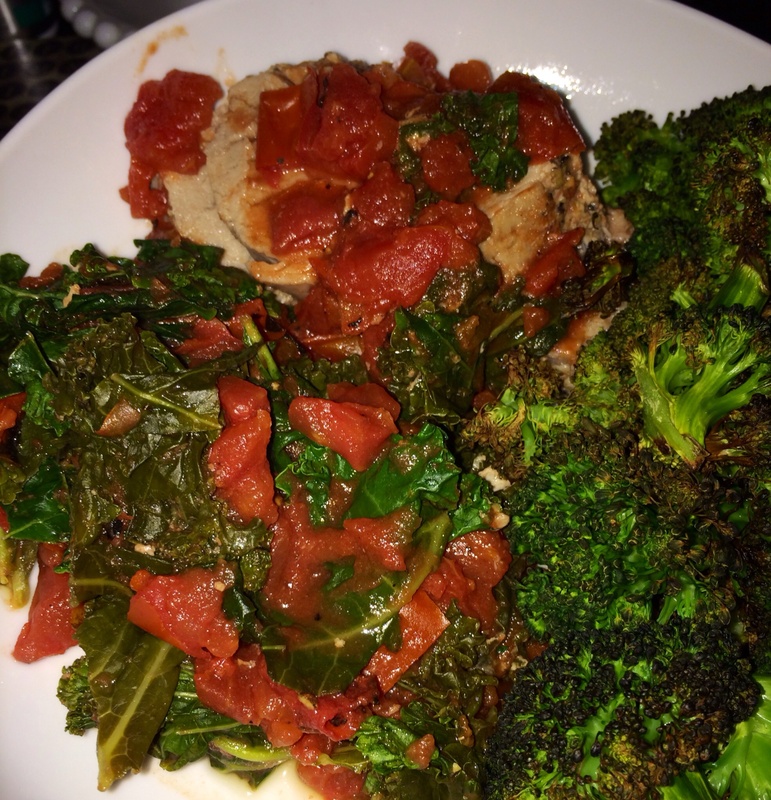 – Pork tenderloin roasted in the oven with kale and tomatoes: I can’t remember when or where we stumbled across this idea, but it is great! It is adapted from a much fancier recipe, I think. We almost always have those little pork tenderloins in our freezer (Hormel usually has them in the meat section with the other raw pork products, but we’ve also used the Trader Joe’s versions or unseasoned grocery store versions). They’re quick cooking (usually around 30 minutes), low calorie / points because they’re leaner and you can get them unseasoned or with a wide variety of seasoning options. We love the garlic & peppercorn option from Trader Joe’s! Turn your oven on to 350 F, line a baking dish with foil (another working mom life saver – quicker clean up!) and put the pork tenderloin in the pan. 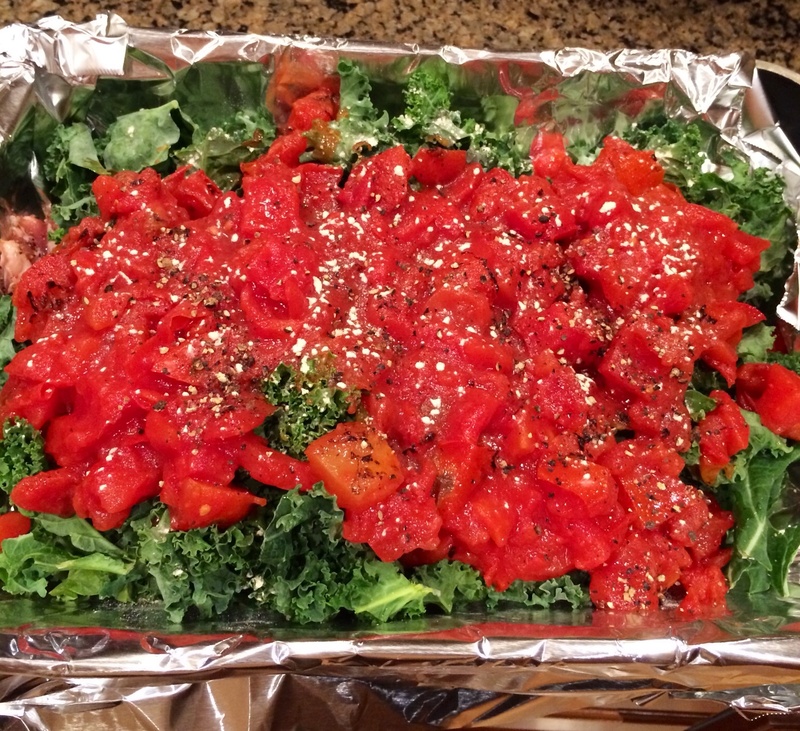 Then top it with a can of diced tomatoes (we particularly like the roasted tomatoes) or cherry tomatoes and some torn up kale leaves. We buy the kale pre-washed and torn, but it doesn’t take long to clean it up and tear it from the whole leaves either. 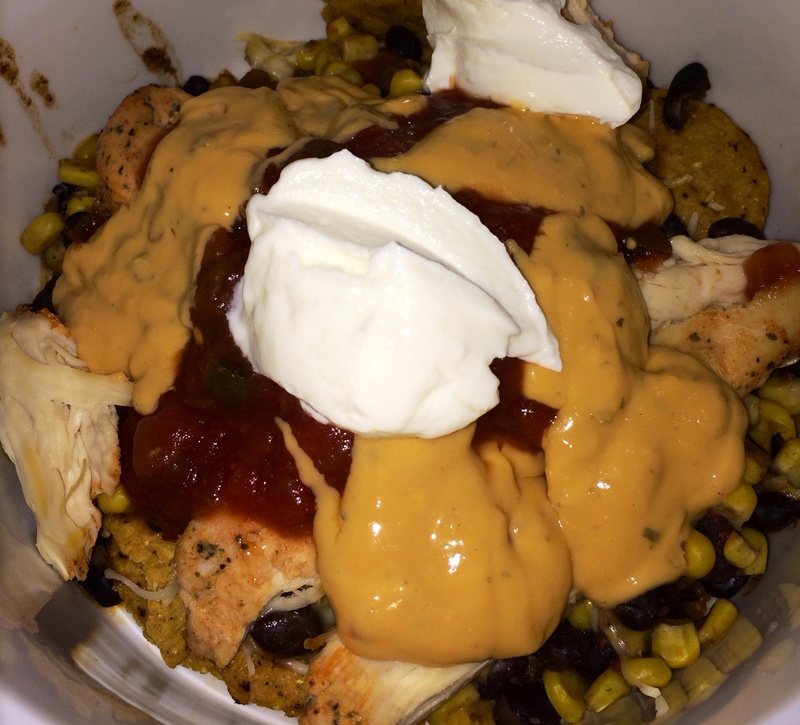 – Nachos: I know, who would expect nachos on a weight loss blog? We love them and they’re another of my go-to meals when I’m cooking for one, but you can do it for a whole family too. This is one of the many times where having baking dishes of individual sizes is handy, because everyone can mix their own and pop them in the oven. You could do the same with a plate in the microwave. I like the sweet potato tortilla chips from Trader Joe’s (they should hire me, right, as much as I rave about them for free?) but you can use any chip. Just be sure to weigh or measure it out so you don’t go overboard. Top with I usually top them with with cheese and whatever protein I’m using (more on that in a second) and pop it in the oven to warm through and melt the cheese. When they come out, go crazy with salsa, lettuce, and tomatoes – all low calorie ways to bulk things up and I love the warm/cold juxtaposition. I like to use Greek yogurt instead of sour cream, but you can use sour cream too, and an extra dollop of the Trader Joe’s queso on top. What really works about this is its flexibility. I can make these for my non-meat eating toddler, with black beans as the only protein source, or with chicken, shrimp, beef, pulled pork – whatever I have left over from other things during the week. This week, I used Mexican-seasoned chicken breasts I have prepared to use for both nachos (Tuesday) and enchiladas (Saturday probably). Proteins that serve double duty are really handy! 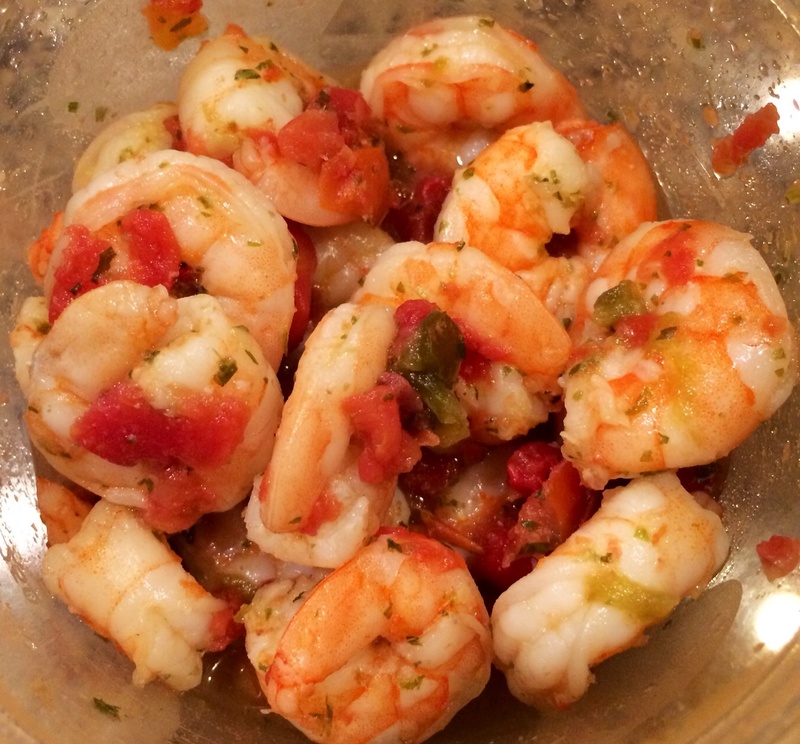 – Spicy shrimp with tomatoes & peppers: Shrimp are a great lean protein source that thaw really quickly and cook quickly. They’re also on the short list of meats my son eats, so we eat them a lot. One of my favorite ways to prepare them is to saute them quickly with a can of tomatoes & peppers (aka Rotel). You could also use salsa. These are great by themselves (eaten this week with some black beans & corn as sides) or as a filling in a quesadilla, nacho topping or in enchiladas. Multi-tasking proteins are great! *I cook a few without the peppers first for O. 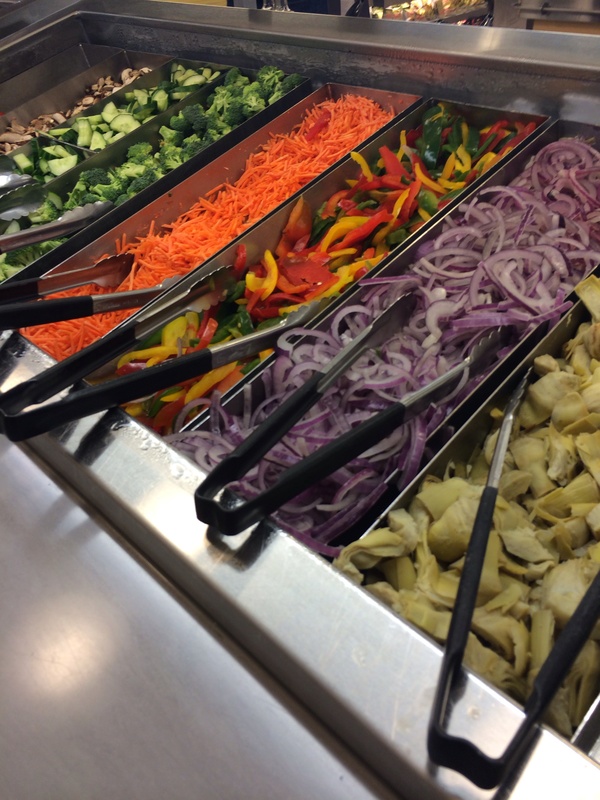 – Stir fry: We like to use a mix of pre-cut veggies, like broccoli slaw and shredded cabbage, with bell pepper and either shrimp or thinly sliced chicken to make quick and easy stir fries. The key to a stir fry is getting everything ready before you start cooking, because once the heat is on, you don’t have time to mess around or you’ll burn something! I like to use a mix of Sriracha (garlic-chile sauce), light soy sauce, garlic (frozen cubes of pre-chopped garlic) and ginger (ditto), plus or minus some sesame oil, depending on my mood, as a flavor base and add a ton of veggies. It’s a great way to use up extra bits and pieces of veggies in your fridge and comes together really quickly. Experiment with different combos of flavorings and veggies to figure out what works best for you. I usually eat it without noodles, but you could serve it over some pad thai noodles if you like. My favorite slow cooker recipes would be a whole different discussion! I’ll be trying out a buffalo chicken chili this weekend for the SuperBowl. These are our menu options for this week. What are your “go-to” meals for getting a healthy meal on the table on a busy workday? This week, my mind seems to be constantly meandering off of whatever I’m working on and over to runDisney-land, wondering when we’ll be getting our corral assignments for the half marathon. Not that I can do anything with that information, of course. I’m just naturally impatient. 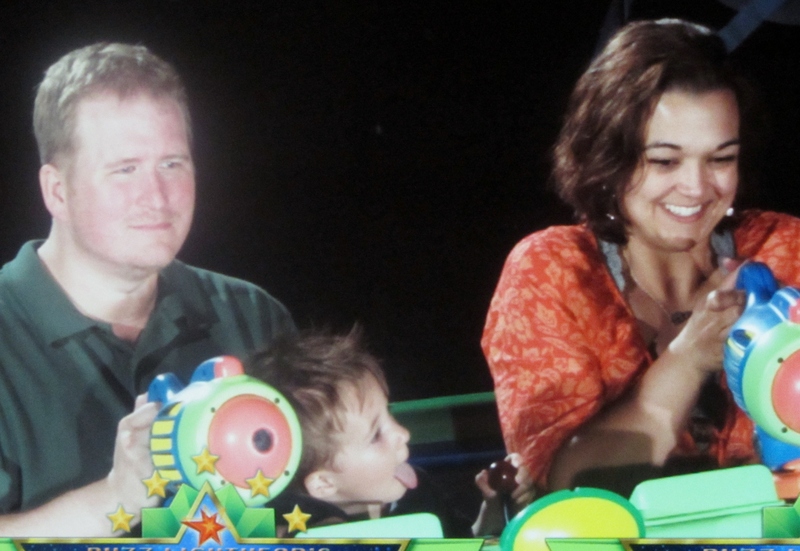 Spending so much of my time thinking about Disney has me thinking about the last time we went to Disneyworld and specifically about how horrible I felt about my eating during that couple of days. That is the last time I can remember feeling out of control of my eating and feeling really defeated by food. On the plus side, it is great that I have gone almost a year without feeling that way. On the minus side, that is a horrible feeling to have associated with the “happiest place on Earth”. After the cruise ship portion of our trip, I felt I’d achieved all of those things and had some phenomenal food. For some reason, once we got to the park, things sort of fell apart. I think it was largely because I slept horribly my last night on the ship, so I was exhausted as we came into the Magic Kingdom that day. We had a reasonably healthy lunch (veggie burger at Pecos Bill, with half the bun and my son’s fruit from his kids meal as a side) and had plans to have dinner at O’hana. We had really horrible service at O’hana, which irritated my husband and his irritation stressed me out (why oh why do I feel personally responsible for the enjoyment of everyone on vacation?). Between the stress and the fatigue, when that O’hana bread pudding showed up in its giant Disney serving size, I inhaled. Carb-y sugar-y goodness, except for the small fact that I don’t actually like bread pudding. That didn’t keep me from eating every bit of it. I spent the next day beating myself about that slip, which lead to eating chocolate covered something (I don’t even remember what, which tells you what a worthwhile splurge that was) while waiting for the train and trying to get O down for a nap. None of these slips had a serious impact on my weight. I only gained a pound or two on that trip, if I remember correctly. I absolutely hate how defeated I felt, though. For almost everyone, there is going to come a time when you stray from your “diet” (whatever that may look like for you). No matter how flexible it is, no matter how much you are trying to avoid restricting your eating, no matter how much we tell ourselves it is a “lifestyle” so we can’t “cheat”, the fact is that almost all of us have times where we ate things we regret or skipped workouts or some other “slip” that leaves us feeling disappointed in ourselves. Somewhere I heard “when you break one egg, you don’t throw away the whole carton” and yet all too often, one slip turns into days and weeks of self-destructive eating. It is important to have a plan in place to recover from this kind of episode so that things don’t get out of hand. 1) Most importantly, forgive yourself. I was not a bad person because I inhaled the entire bread pudding at O’hana. I was a tired and stressed mama on vacation. The thing I regret about my eating experience last time we went to Disney is not actually anything about what I ate, but how badly I made myself feel about it afterwards. Part of that is definitely the binge eating disorder talking, but I hear women all the time at Weight Watchers meetings or at work or on Facebook beating themselves up because they ate too many French fries or cookies or had sugar or whatever. I actually never hear men say this kind of thing, but maybe it’s just my experience? Be kind to yourself. You are not a bad person. Change is hard and slip ups are going to happen. What is important is what you do next, not what you did in the past (even if that past was five minutes ago). 2) Have a “go to” healthy meal or activity that will help you get back on track. For me, doing a workout I love like going for a run or to a Zumba class gets me back into thinking positive thoughts about my body rather than beating it up. I really try to approach the workout as a time to appreciate all I’ve done, not think of it as a way to “burn off” whatever indulgence I just had. I also tend to go a salad bar. I am not a person who eats a lot of salads in my weight loss life. I’ll do it if I’m somewhere without a better option or if I know I’ve got something indulgent planned for a later meal, but if I ate them every day I’d get sick of them. I use them as a way to get back into a “loads of veggies, whole foods” mindset after I’ve traveled and especially after I feel unhappy with what I’ve been eating. It helps that you can eat a ton of food when you’re focusing on veggies so it’s a good choice even when you don’t have your portion control ability back in check. There’s something about it that helps me feel like I’m back in control of my food. Pick a meal or an activity that reminds you of all you’ve done and make it the next thing you do. 3) Don’t wait until “Monday” or “next month” or whatever to start over. Every moment is a chance to make a better choice. It doesn’t have to be a perfect choice, just a better choice than what you could have made and little by little, you’ll get back where you want to be. 4) When you feel like you’re back on relatively even keel, think about what happened and why. What triggered the event? Were you tired? Were you hungry? Were your stressed? Learning from our mistakes helps us to avoid repeating them unnecessarily (eventually anyway). It might help to talk to someone else about it, to share what you’ve learned or to help you process what happened. I find writing about my slips and near misses helps me to see things I wouldn’t otherwise and to realize that I am usually far harder on myself than anyone would be. Try not to dwell and dissect things until you’re back in a place where you’re feeling good about yourself, otherwise it just becomes another way to beat yourself up. I’d really like to one day get to the point where there was no such thing as “slip” – where everything truly was okay and I could honestly say I never had the “diet” mentality, but I know I’m not there and I suspect a lot of us who have lost weight or who are trying to lose weight find themselves in the same position. 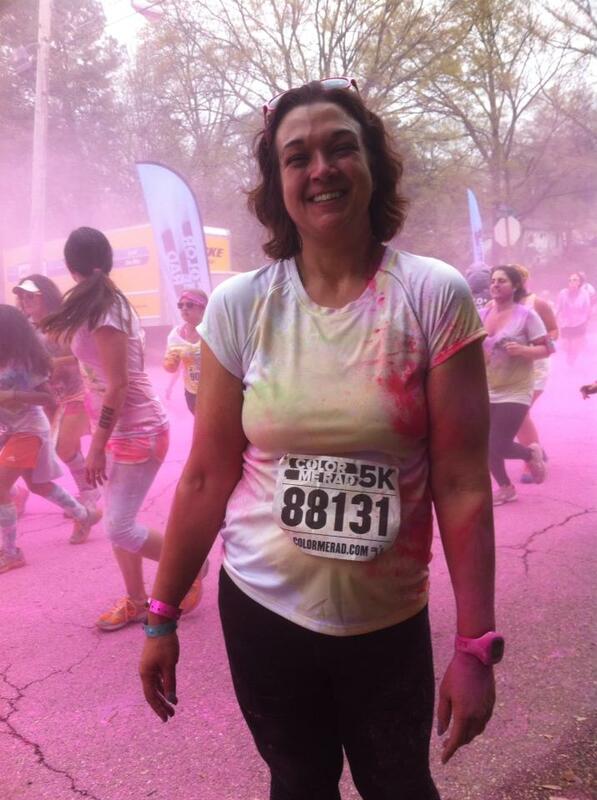 That link is to an awesome blog post from Leanne about escaping the diet mentality. Check it out! How do you recover when you’ve had a slip up? 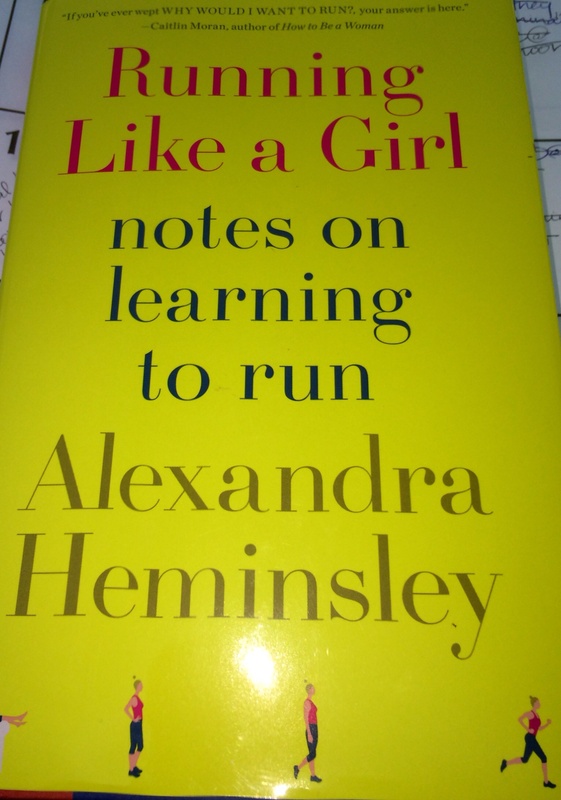 One of my Christmas gifts was the book “Running Like a Girl” by Alexandra Heminsley. The author is a journalist, broadcaster and ghost writer in England who, like a lot of us, came to running as an adult after believing for years that she was “not a runner.” I picked it up this weekend to start reading (despite the fact that Goodreads says I’m reading two other books) during my post-wipeout bath. It seemed like a good light and fluffy option to dip in and out of over the next couple of weeks. It turns out to be a really quick read, so I’ve already finished it after a couple of days. I also really enjoyed reading about the emotional gamut we travel with our running, both on individual good and bad runs and overall, as we come over the high of the first race and go through the peaks and valleys of running after that point. I was particularly interested in reading about her experiences with running after she finished her first race, where she went from a “I’m a runner, let’s do this again!” mindset to seeing running fall out of her daily life. I know lots of people where this has been the case, where running falls off the radar once the goal race is completed. Reading about falling off the path and getting back on again over and over was somehow reassuring, that my fears about losing what has become a big part of my life are normal and not unfounded, but not insurmountable either. The last third of the book (or Part Two) is full of practical information from a very journalistic perspective. There’s a section on common running myths and the associated realities; shopping for running shoes (loved the tip not to wear a skirt, if you think about where the sales person will be hanging out most of the time! ); proper running form, and of course, the kind of make up that will hold up to a marathon. All in all, this was fun and fluffy and vaguely British, which I personally always enjoy. It’s definitely worth checking out at your local library next time you need a quick and easy read. If you’re on Goodreads, look me up. My profile name is just “Jessica” but it should have my age (35) and blog so you can figure out which one is me. I love reading recommendations, especially since I spend a fair amount of time in the winter running on the treadmill and the Kindle iPad app keeps me sane during those times! This afternoon I’m going to hit the treadmill and attempt a run-walk on my banged up knees. Wish me luck! Are pedicures over now that I’m a runner? One of my favorite indulgences before I started running was a pedicure. I loved sitting in the chair at the spa for 45 minutes or so and letting someone else pamper my feet. With my weight, my feet were always in pretty rough shape as far as cracking and calluses so it was definitely nice to have someone else taking care of things. I’m also too impatient to patiently paint them and wait for the dry myself. Since I started running, I haven’t gotten a pedicure at all. I’ve been wary of something happening that would make my feet hurt while I ran. In thinking about what my running life is going to look like after the half marathon, I’ve decided it is definitely to include more pedicures. I enjoy them too much as a relaxation exercise and unlike a massage, in which I feel the effects fading as soon as I walk out of the building, with pedicures I at least have pretty toenails to look at afterwards. Aside from the fear of someone scraping my foot too hard or cutting a cuticle too much or anything (which aren’t huge concerns for me knowing the spa I frequent), there’s a conversation from pre-running days that hangs in my mind. Ten plus years ago a friend and I were talking about going to get pedicures together and her husband came by and said that she couldn’t go get a pedicure because it would screw up the callouses she needed to run. She wasn’t training for a marathon or anything, just a regular runner. For some reason this conversation stuck in my head for years. My feet are much much less calloused now that they have been in years thanks to 100+ pounds of weight loss (a seriously fantastically unexpected benefit of weight loss) but maybe I really do need those callouses I have left? I use this blog a lot as a place to process and write about these little questions I research for my own interest, so here’s what I’ve learned about pedicures as a runner. Spoiler alert: I will be booking a pedicure when I get done with Princess! The most important thing to keep in mind is that a pedicure involves more than just pretty toenail polish. Pedicures offer a chance to do a lot of basic foot maintenance and to keep an eye on things like corns and calluses. Sometimes having another set of eyes to do look over your feet helps because unless you’re a contortionist, it’s hard to see all of your feet. Even something as simple as nail trimming may be easier if someone else is doing it so you don’t risk cutting yourself, tearing the nail or cutting them wrong so that you set yourself up for future injury. Keep your toenails cut short and straight across. Toenails that are too long can poke holes in your socks, setting you up for future blisters and irritation (not to mention wasting money on replacing socks!). The toenails themselves can injure the neighboring toes if they are too long or cut at an angle. Cutting straight across decreases the chance of ingrown toenails. Any of these things can make running seriously painful at minimum or require medical intervention if they get bad enough. No one wants that! Keeping your feet moisturized, both during your daily life and during that luxurious soak and massage in a pedicure, is important in preserving the protection healthy skin provides. Well moisturized skin is less likely to develop blisters or cracks that are painful in themselves and more than that, set you up for infection because you lose the protection from bacteria and fungi that intact skin offers. In larger cities, you may actually be able to find a spa that offers a pedicure specifically for runners. My local spa doesn’t have this option, but that doesn’t mean pedicures are off the table. If you know other runners or work with a podiatrist or physical therapist, ask them for recommendations. If you can’t get any local recommendations, talk to someone at a reputable spa about what your needs will be. Be clear with the pedicurist that you’re a runner so that they know you’ll want special attention paid to your toenails and very gentle care of any calluses. Gentle buffing of calluses if fine (and great if you do it regularly to keep things from getting out of hand in the first place!) but you want to avoid being too aggressive and exposing too much raw skin. I’d also avoid those razor/scraper devices. Pushing cuticles back gently in combination with a cuticle remover liquid is fine, but avoid the clippers or anything else that increases the risk of cutting and damaging skin. In one good Runner’s World article I ran across, they recommended having one every month or so while you’re training and scheduling a pedicure no more than 7-10 days before a race. Just in case, I think I’ll stick to just a sparkly pink coat of polish before the Princess Half Marathon but I’ll go back to regular pedicures after the race is over! In other news, my knees are more bruised and achy than I realized after my fall Saturday. Thank goodness this is a week of lighter runs, with nothing more than 5 miles planned. It all feels superficial, but it is still achy. I’m glad I can take it easy for a couple of days. Stay safe out in the winter weather! Weekly Wrap-Up: 4 weeks to go! I can’t believe we have less than a month to go! Very exciting! 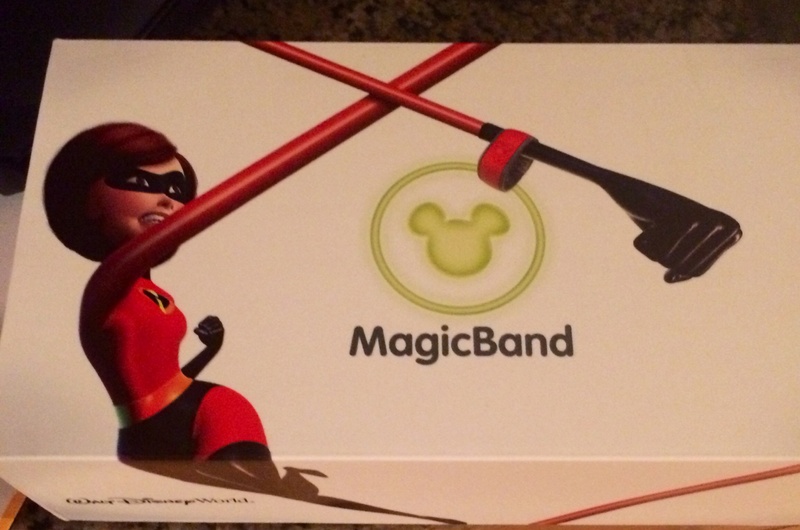 Our magic bands have arrived and waiting patiently beside the folder full of all of my compulsive travel documents. I have a bag in the closet full of things we’ll need for the trip and list making is in full swing! The house/dog sitter is booked, vacation time approved (including vacation from daycare) and I even already have my out of office notification set up. 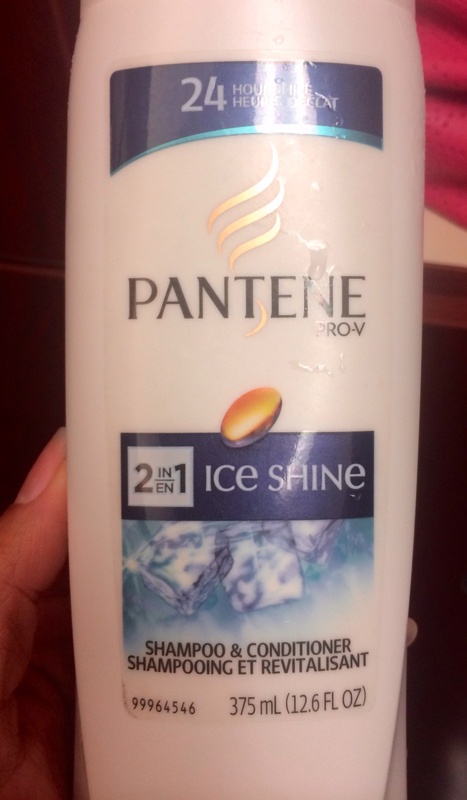 It’s especially nice to think about Florida when it is so cold in Nebraska that my shampoo froze in my gym bag! I didn’t even know that was possible until I tried to take a shower after my run on Friday and couldn’t get the shampoo out of the bottle. It was still frozen solid despite spending an hour in the gym locker while I was running. Brrrr!! A whole new meaning to “ice” shine this week! Monday: 70 minutes yin yoga – Like I mentioned in Thursday’s post about my fears of getting hurt this close to the race, I’ve decided to be extra careful for the last month of training. That means my one day of cross training I’ve been doing each week is now dedicated to yoga to keep things as limber as possible. Tuesday: 20 minutes walk, 40 minutes stationary bike – That caution also means that instead of the 4th run I’d been doing each week (3 miles) I’ll be exercising the cross training option the Hal Higdon plan offers for that workout. It feels a little weird to run only 3 times a week after doing 4 runs a week for so long (especially since I cross train for longer than it would take me to do a 3 mile run!) but I want to be careful! Wednesday: 5 miles on the treadmill (still single digit and below temps) – The gym has definitely slowed down now that the “New Year’s Resolution” zeal has faded for most people. 11 minute mile pace, including some walk breaks. Thursday: 5 miles on the treadmill (so cold outside the shampoo froze! ), again at 11 minute mile pace. I find it interesting that a) my ache in my ankle is definitely worse on treadmill days, so it’s definitely something about my treadmill form that is causing that and b) I do okay on the treadmill without any kind of fueling, even though I try not to go that long without fueling when I’m running outside. I usually just have water during the run, although I am typically starving after! Friday: Rest day – I was tempted to go ahead and do my 10 miler as it was twenty degrees warmer on Friday afternoon (low 40s) than it was predicted to be Saturday morning, but if I’m interested in staying safe I know running my longest ever run right after two five mile days back to back was not a good idea. Saturday: 10 miles in 1:49:36 – I planned on going to a new park for this run, but thanks to gloomy weather it was still dark when I was planning on starting between 7:30-8. I decided to go back to my usual stomping grounds rather than test out an unfamiliar path in an unfamiliar part of town in the dark. I wanted to get in another trial run for fueling, so I planned on a Gu at mile 4 and mile 7-8, with Nuun before and after but plain water during (to simulate my plan for the race itself). That approach worked well for me on the day of my 9 mile run, but I wanted to be sure it would still be okay with a second trial run. I don’t like Powerade, so I’d rather get my electrolytes & carbs on the course from my gels and stick to plain water for hydration. Alternatively, I could carry a water bottle with some Nuun but I don’t want to juggle water when I’m trying to take pictures along the way! This run went well for most part and I finished with my usual 11 minute mile pace. 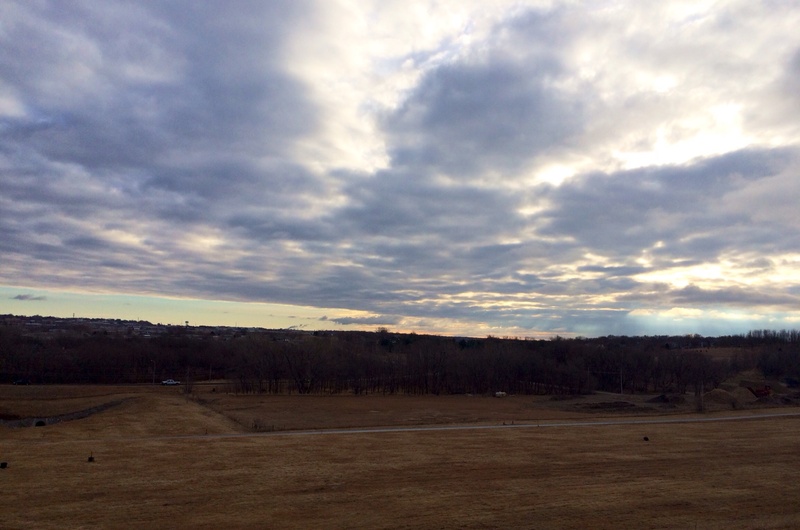 It was chilly and windy, but the clouds started to break up just as I got to my favorite part of the run at around mile 5-6, where we’re up on a levee and can see all across the lake and out across town. That’s mostly bruise, not actually scraped through my pants. It’s a little sore now that I’ve stopped but it doesn’t feel like anything seriously mechanical was injured. I’ll be glad for a rest day tomorrow though! 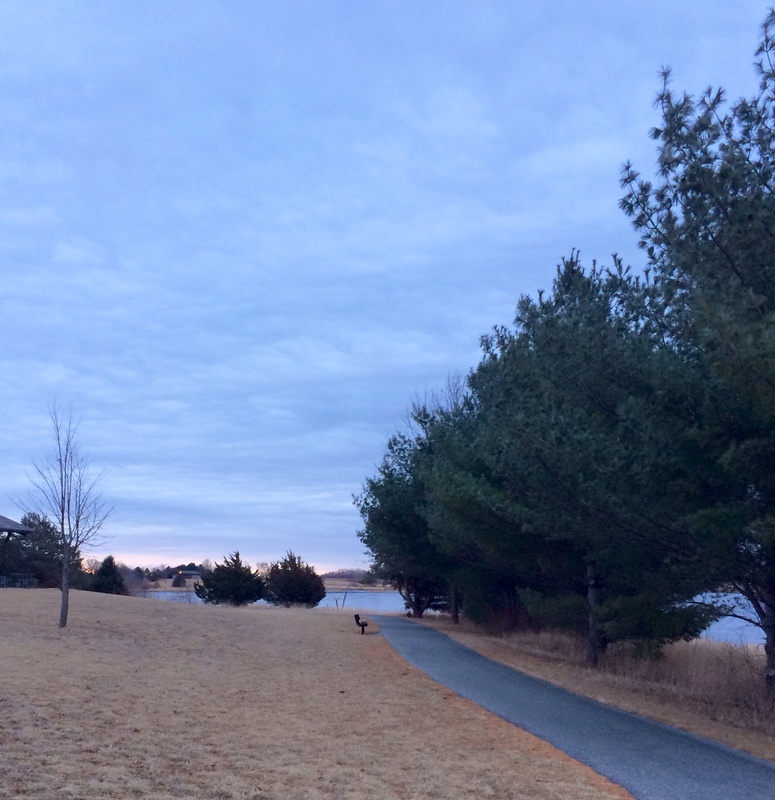 It is interesting – yesterday I was nervous about this 10 miles coming up, just like I am about every new long distance, but once I got out of the car at the park, I had absolutely zero doubt I’d finish the ten miles. Even with the fall, it was a good run. I can’t believe I spent almost two hours running this morning though! Saturday was also Katie’s virtual 5K for her birthday, so I’ll have to be sure to submit my time for this year (33 minutes exactly for my first 3.1 miles). That is way better than last year’s time of 41:11!! Sunday: Rest day – I’m very glad I stuck to my plan for rest before and after the ten miles! I’ll appreciate some time to relax and stretch out today. Like I mentioned last week, I have given up on meetings with this new leader at my Weight Watchers center near my house but I found another center with a 7 am meeting that was about 10 minutes farther away. I decided to go check it out this weekend. They get bonus points already for being right next door to Panera, so I could get a hazelnut coffee before the meeting. Overall, I liked it. I was interested to see that I wasn’t the only person from the Lakeside meeting who has shifted over to this new center as several people were there and wanted to come talk to me about switching meetings. It was a fairly large group, which is impressive for 7 am on Saturday, and they were lively. There were several Lifetime members, which I like, and the leader seemed really down to earth and helpful. I’ll definitely be going back to try them out again. While I didn’t lose weight just to be able to wear smaller clothes, I did like that one woman who was a Lifetime member had a small ring that she wore every day as a touchstone that was engraved “Eat what you want or wear what you want”. Cute 🙂 I’ve never bought into the whole “Nothing tastes as good as thin feels” mentality because I just love food, but I did like that the phrase on the ring highlighted the fact that you make a choice. That’s what it is all about – a thousand little choices. They get easier over time, but it is still a choice. 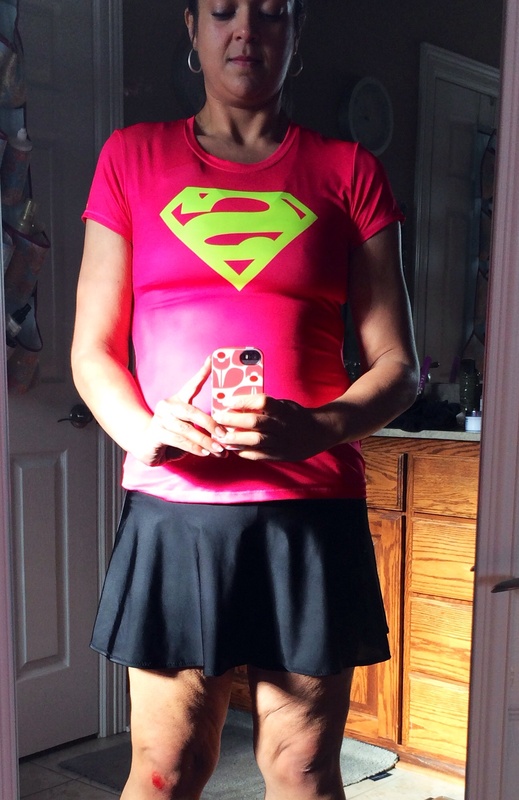 And finally, a vote – Which skirt should I wear with my Superman shirt for PHM? White or black? A little revelation about why I run . . . I had a little revelation Thursday while I was answering some questions for a profile on another blog. I was writing about the meaning behind my blog’s name and how I still repeat those words to myself often. I don’t have to be perfect, I just have to try to do a little more. I tell myself this when I’m struggling with a run (usually in the first couple of miles) or when I feel like a bad mom. The third example I listed originally said “or when I worry I am not going to achieve the level of professional success I want.” In re-reading that sentence before I sent this profile off, I realized it wasn’t true. I actually never worry that I’m not going to achieve the level of professional success I want because most days I feel like I have achieved more success professionally that I really deserve (which I know is not true; I just have a little “imposter syndrome”). I do, however, worry that I will not achieve the level of professional success others expect of me and there is nothing I hate worse than disappointing people who have invested in me and who believe in me. Can you tell I’m a stereotypical over-achieving oldest child? My husband has invested our time and money in my running and I am so grateful for his support, but I know he has no expectations other than my safety and happiness. Lots of others know about my running but they’re either a) not runners, so they’re already impressed that I’m even attempting to run or b) runners, who it turns out are some of the most supportive, least judge-y people out there who expect nothing other than a joyful attempt. I can’t think of anything I’ve done that has come without performance expectations attached and for this little over-achieving soul, that is reason enough to lace up my shoes every day for the rest of my life. This week, people have recovered enough from the WDW Marathon weekend and Tinkerbell Half Marathon weekend to start posting their race recaps and I’m loving all of the pictures and stories! I can’t believe we’ll be there in 4 short weeks! Dani over at Weight Off My Shoulders has posted several recaps so far and I love how much her joy about the entire experience just leaps off of the screen. 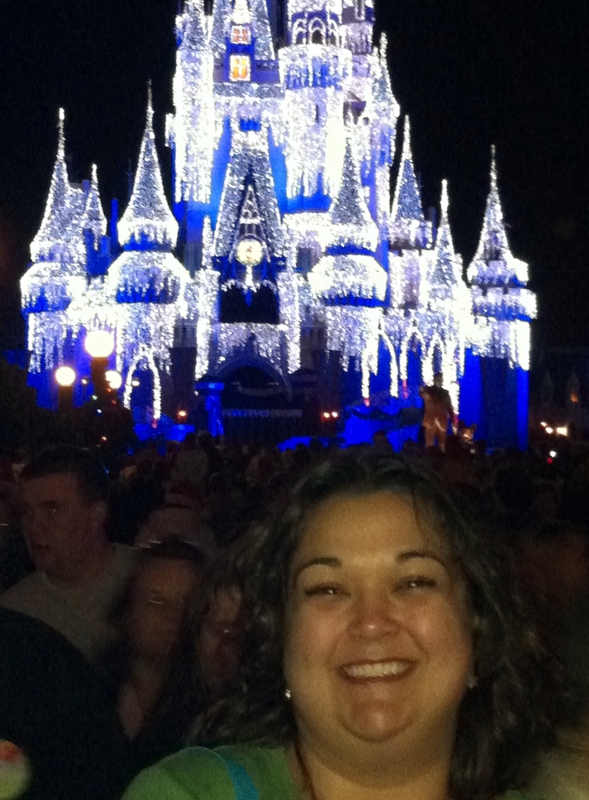 Pam and Christine at We Run Disney also have all of their recaps up. I especially loved the marathon recap, which sounds like it was a wonderful experience, and the race retreat recap. I’m doing the Race Retreat for Princess Half Marathon next month and I really appreciated the details in this review. It was nice to know what kind of foods will be available so that I can practice appropriately pre-race (and so that I can let my husband know that his time waiting with Oliver will be rewarded by bacon!). Speaking of practical details, if you’re planning on doing any races at WDW, be sure to check this awesome post complete with maps of the real bathrooms along the course! I may be printing that out to bring on the trip, along with Miss Zippy’s great tips for dynamic warm ups for runners. In non-runDisney news (not that there’s much space in my brain anything else now that we’re a month out!) I’m hoping that one day I get to the point where I can eat more intuitively. Leanne is working through that process after two years of maintenance and I’m loving her blogs about the process. My favorite tip was the idea of taking the best bite first! Finally, for a smile, and a serious boost of motivation in your day (I will confess to trying this in my office yesterday! 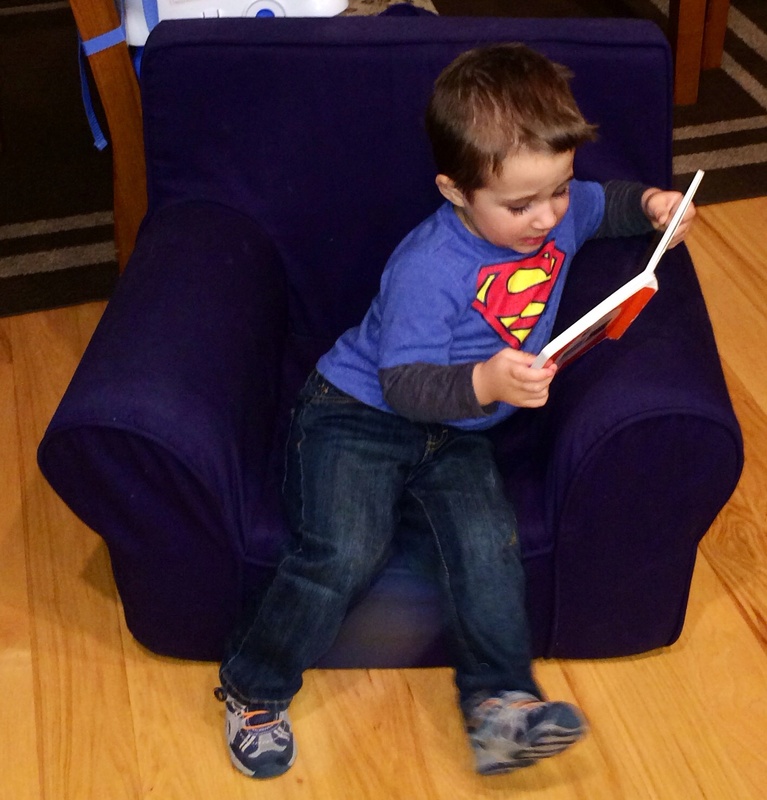 ), check out Power Posing over on SparkPeople! And now, a question: Would you be a little intimidated having this guy staring at you from within the stall in the women’s bathroom? 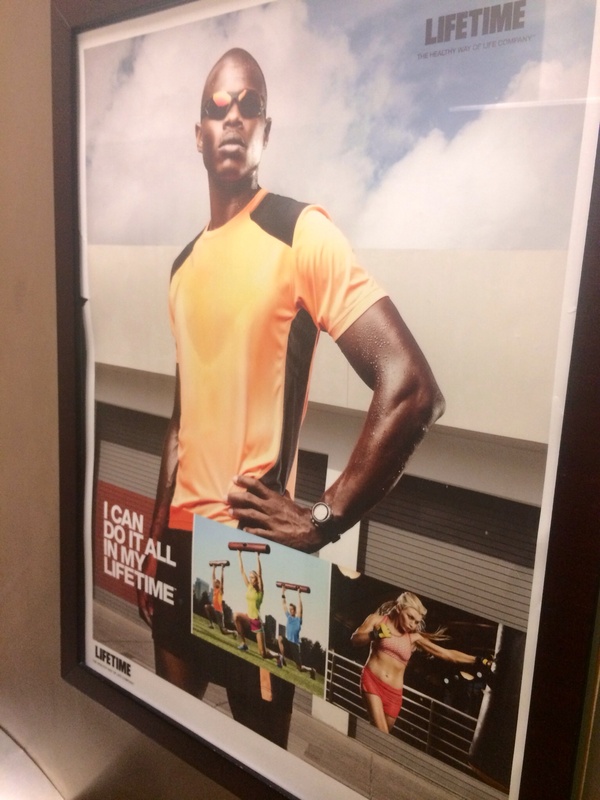 Being closed up in a tiny space with him in my gym always makes me wonder if this guy knows where his poster is hanging. The poor guy hangs right over the toilet paper dispenser! One month until PHM! Fears & excitement mount! One month from today, I’ll be joining thousands of women (and a few brave men) to run the Princess Half Marathon in Walt Disney World! 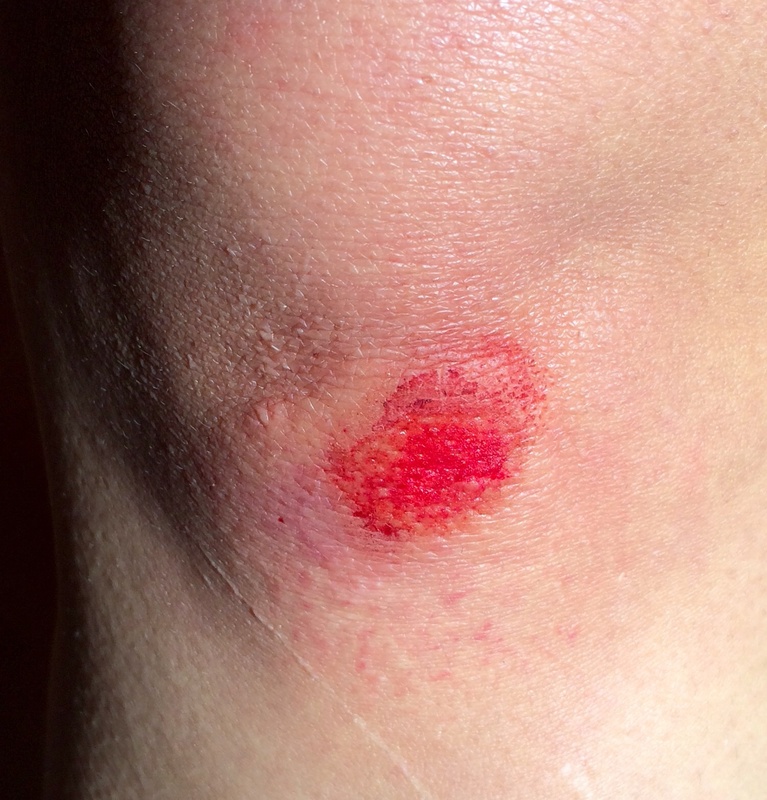 FEAR: I’m starting to get worried I’m going to get hurt before the race gets here. A) No one ever wants to get hurt, period. B) I don’t want to miss out on something I’ve put this much time into (not to mention the money!). C) I don’t want to be unable to enjoy my vacation after the race! I’m paying attention to my body (especially a sore spot in my right ankle) and know I’ve been really lucky not to have anything other than some plantar fasciitis so far. To be cautious, I’ve decided to start utilizing the cross training option in my Hal Higdon novice training plan rather than the 3 mile run option. I’ve been doing the run most weeks because it only takes 30 minutes, which is easy to work into a busy day, and because I felt like I needed to run as much as possible in order to be ready for this undertaking. Now that my fear of getting hurt outweighs my fear of not finishing, I’m okay with cutting back to 3 runs a week. EXCITEMENT: I’m excited to meet all of the lovely ladies I’ve met virtually through blogs (Hi Lauren & Karen! ), Twitter and the Facebook Princess Half Marathon group. It’s been so fun to have so many others to chat and plan and commiserate with for the last few months. EXCITEMENT: I’m excited to cross that starting line! I’m truly proud of decision to start training for the half marathon and for signing up for the Princess Half Marathon in the first place. After months of planning and training, crossing that starting line will be its own huge victory. FEAR: I’m afraid I’ll oversleep! In reality, I’m pretty sure I’ll be so worried about over-sleeping that I won’t sleep at all, but I’d rather do that than wake up late and panicky. I’ll be trying to wake myself up without waking my husband or toddler, so that’s a whole new level of stress. Thank goodness experts say that it’s two nights before the race that matter most for getting a good night of sleep in, not the night right before the race. EXCITEMENT: I’m excited to experience the parks with O now that he’s a little older. He’s so much more physically coordinated, more verbal and more imaginative than he was last time we visited. Seeing him experience new things in our daily lives is such a joy and seeing him experience one of our favorite places is something I’m so excited to see! We actually found out we were expecting him the day we returned from a Disney trip in 2010. We’d spent the entire vacation talking about how fun it was going to be to bring our future children to see all of the wonders at Walt Disney World, not realizing we were already carrying our little guy along with us. I like to think that gives him a very special tie to Disney World, but maybe I’m just using that as an excuse to plan lots of vacations there! I’ll bet he’s going to be much better at Buzz Lightyear this time. I’m guessing I won’t get to operate my own gun – he’ll take over for me. “Crossing the finish line” is intentionally not on this list because I can’t even imagine what that is going to feel like. It seems like such a big moment that I can’t wrap my mind around enough to get excited. 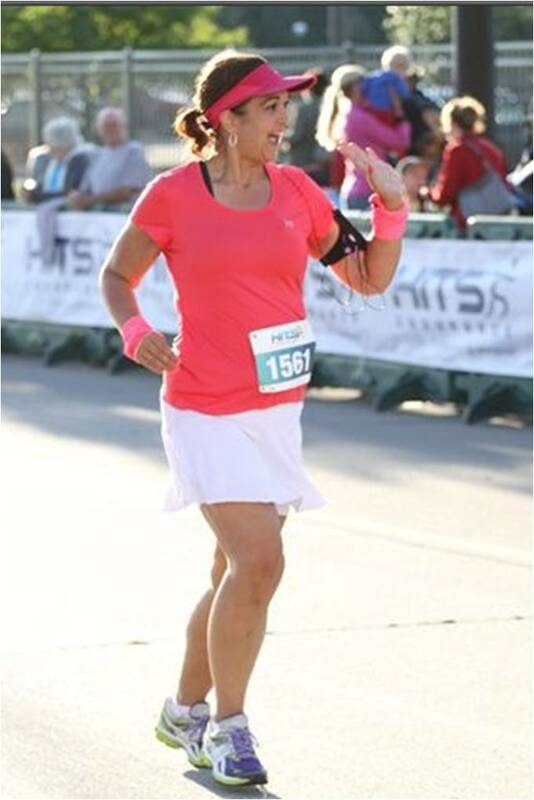 I remember the feeling of accomplishment when I crossed the finish line at my 10K and heard my name called. I can only guess how much that feeling is going to amplified when I cross the finish line of my first half marathon next month. In one short month, I’ll know what it feels like and I can’t wait!! What are you most excited about? What are you afraid of? I’m excited and worried about a thousand little things, so I may be brain dumping a lot more posts like these over the next few weeks. Apologies in advance! 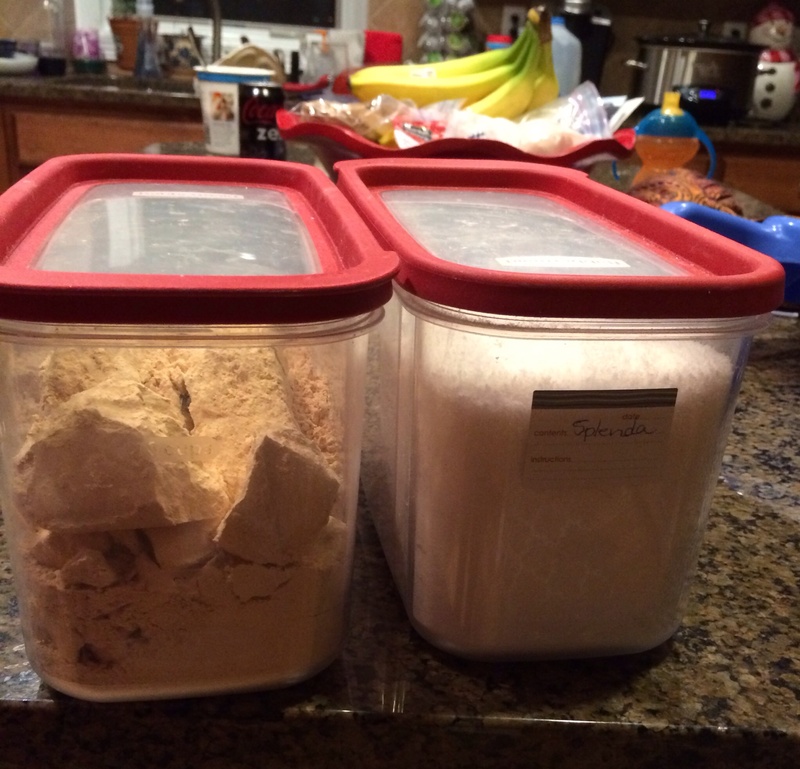 Last week, I wrote about some of my silly little running confessions and as I was prepping lunches last night, I found myself thinking about some of my dietary quirks too. These suddenly seemed like a much more fun thing to talk about than the post I was planning on the research study (interesting! I promise!) that I just read about how important breakfast really is. I’ll talk about breakfast another day because keeping a sense of humor about the food you’re eating when you’re trying to lose weight is absolutely crucial! – There are some foods I never track or count, despite my complete belief in the importance of tracking. None of these things are big enough to matter in the grand scale of things and it makes me a feel a little rebellious not to track every bite, even though I know I’m “supposed to” per WW. The single Dorito I eat every night when I make my husband’s lunch (which prompted this whole series of thoughts). – I have sandwiches for lunch most days and I use the Sara Lee Delightful bread. I will confess that there is nothing particularly tasty about the Sara Lee Delightful bread. It is only two points and works to hold a sandwich, so it meets my needs. The real reason we use it, though, is precisely because it doesn’t have that bready goodness. I am a bread person. Love it in all forms, all the time. I have been known to toast, butter and inhale an entire loaf of bread when no one was at home to watch me. I have been known to buy a load of the fantastic asiago cheese bread at Panera and eat it all in my office before I get home with any of it. Thus, having bread that is adequate but not tempting is actually a good thing for me, weird as that seems. 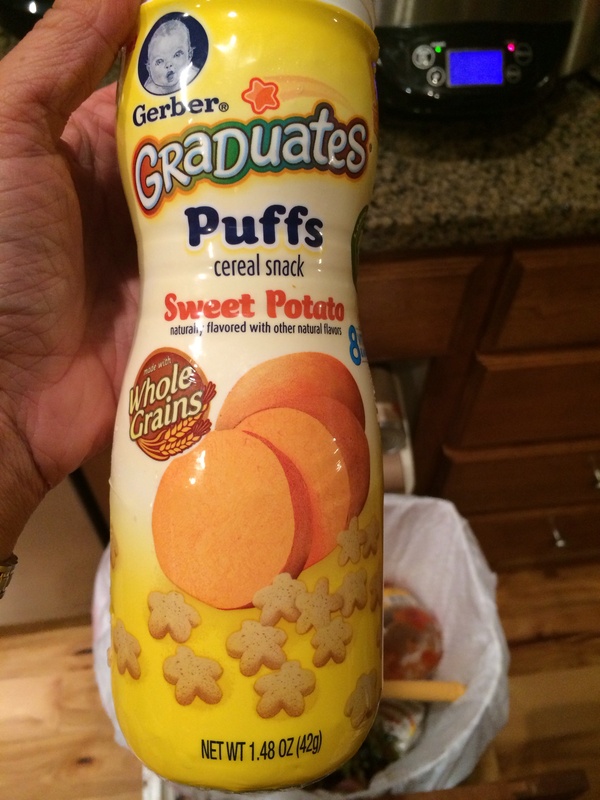 – These baby sweet potato puffs are insanely low in points. 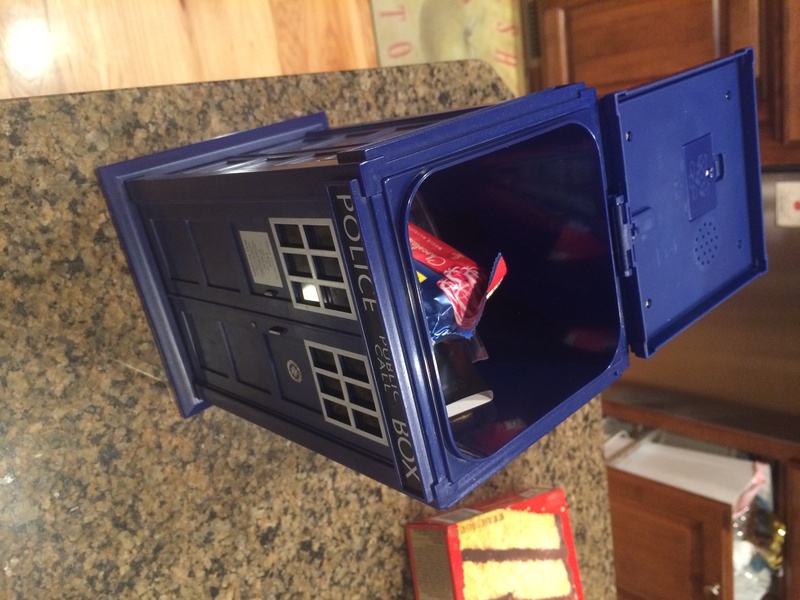 Not that I calculated that or that I eat my kid’s snacks or anything . . .
– I feel really betrayed when I plan the points for something splurgy, take a taste of it and realize it wasn’t as good as I’d built it up to be in my mind. – I go through so much PB2 that I keep it in a big bin.I do not want to think about how much of our food budget goes to grapes, Greek yogurt and PB2. – I’m okay with some “frankenfoods” because a) I eat a ton of whole fruits and veggies to balance it all out and b) I think being fat was killing me far faster than Splenda ever will, but even I cannot understand what most of the Walden Farms sugar free things really are (seriously – no calories, no carbs, no anything and yet there is a physical product there so it is something – what is it?). Their no calorie, peanut butter like spread is truly the only thing I can think of that I have ever spit out of my mouth without swallowing it (I love food – I’ll swallow almost anything). Ugh! I actually kept it in the fridge with the intent to get my money back but I’m ultimately too lazy to follow through on that. – I’m a little afraid of the cans of sweetened condensed milk in my pantry (aka “Eagle Brand” in my Southern girl mind – it was years before I realized it had a name other than just the brand name). It is definitely one of those binge-y foods where I would look up and realize I’d somehow eaten an entire can of sugary goo. I shudder to think about what that does to my insulin levels. I’m periodically tempted to just throw them out but then that feels like admitting they’re more powerful than I am. Which I know they aren’t. Most days. 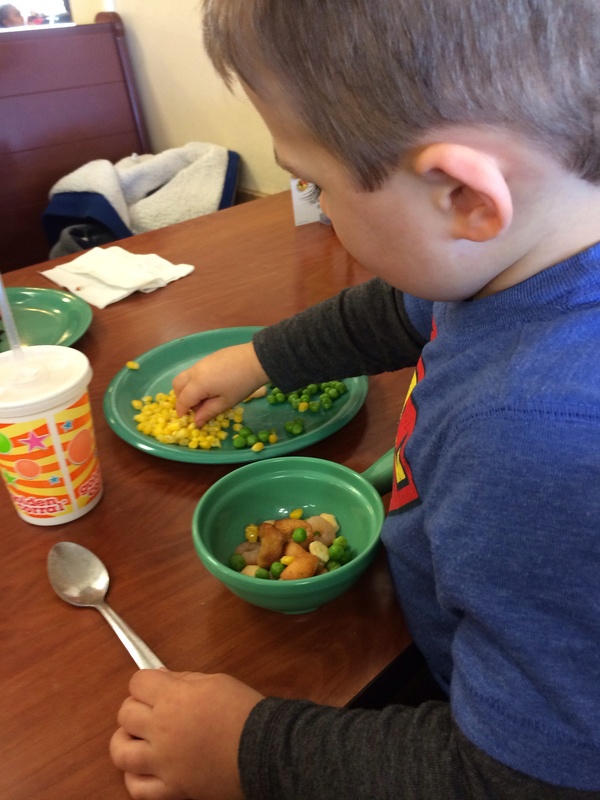 – Even though I know I should celebrate the fact that my toddler loves healthy food like fruit and “matos” (tomato), there are some super hungry days when I growl a little inside about having to share my zero point foods. I do share, I promise . . . except for the grapes I’m going to sneak out of our shared bowl of fruit at Village Inn tonight before he sees them. Nobody is perfect, right?